Mint Custard: Who Reads Yesterday's Papers? Bugger. Bugger bugger bugger. Bugger bugger bugger bugger bugger. 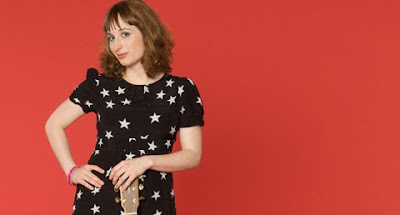 Proving that even when you have one ear to the ground you're likely to miss something important flying overhead, I just found out about Isy Suttie's first ever Australian shows... back in January. Sydney-siders were apparently treated to several nights of her show Love Lost in the British Retail Industry at the Seymour Centre as part of Sydney Arts festival. Swines. Given that I've been actively looking out for a sniff of an announcement regarding Isy and the Melbourne International Comedy Festival I'm not quite sure how I missed this, but hey, there you go. Maybe Sydney was trying to keep it a secret. She's back in the UK now so for all you lucky folks round those parts here are some March dates (mostly in London Village and environs). There's a full run down of activities beyond March on her Myspace site. Meanwhile for those who only know Isy from Peep Show here is a nice clip of her in action as part of the 2008 Edinburgh Festival... more please Isy. More please.